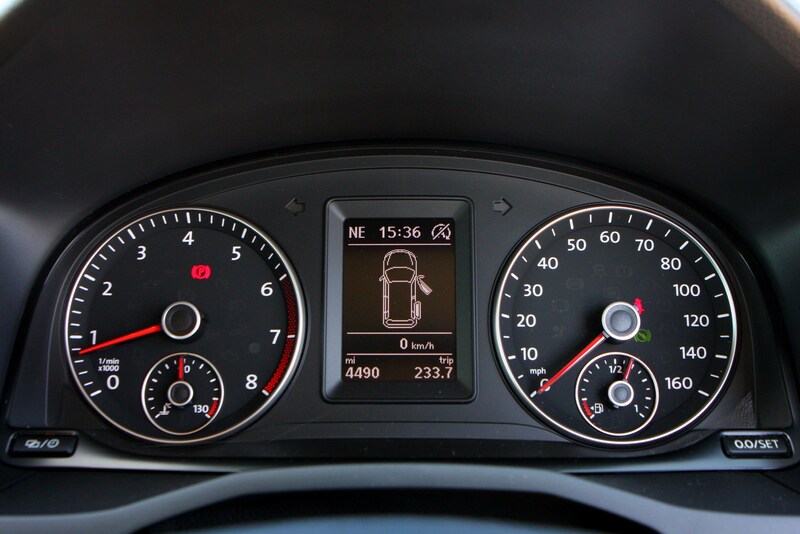 Insurance group: 10 - 20 How much is it to insure? 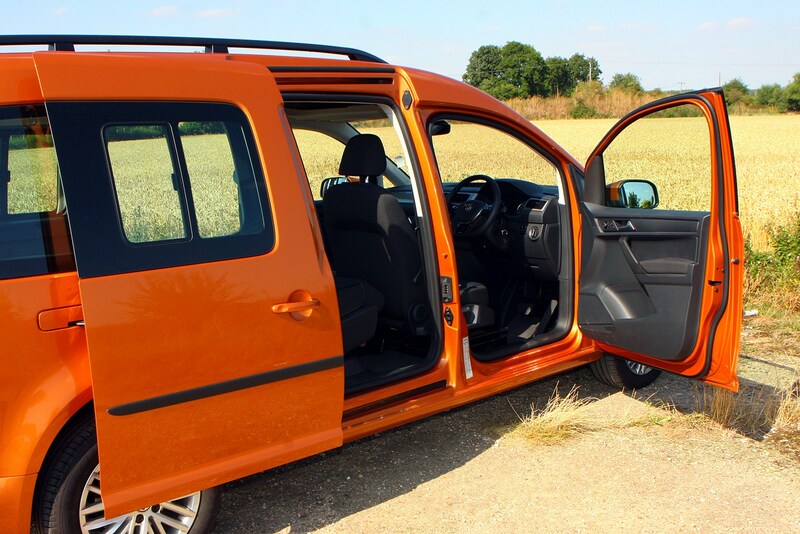 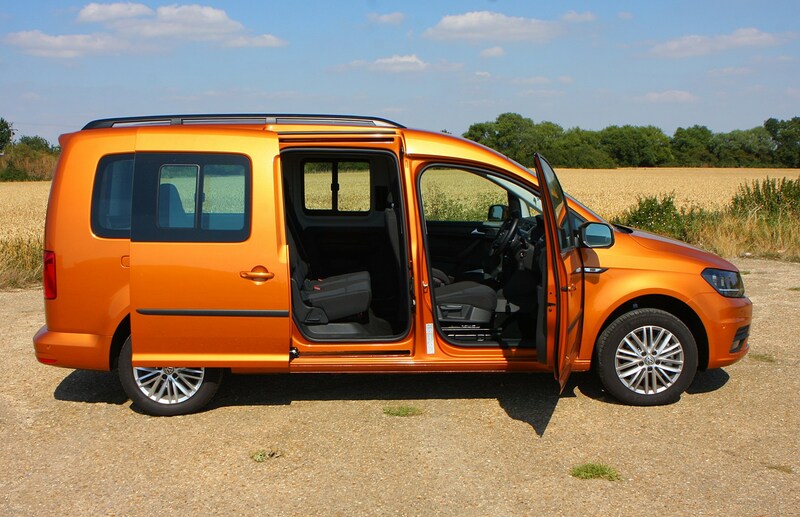 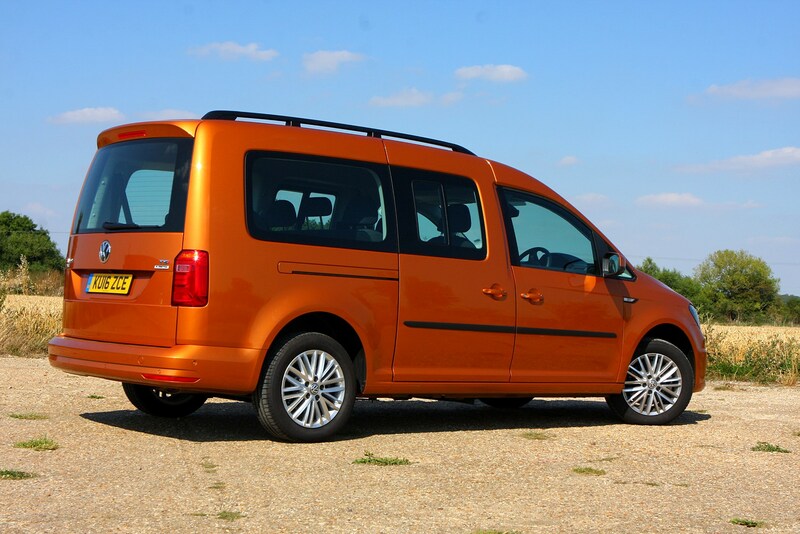 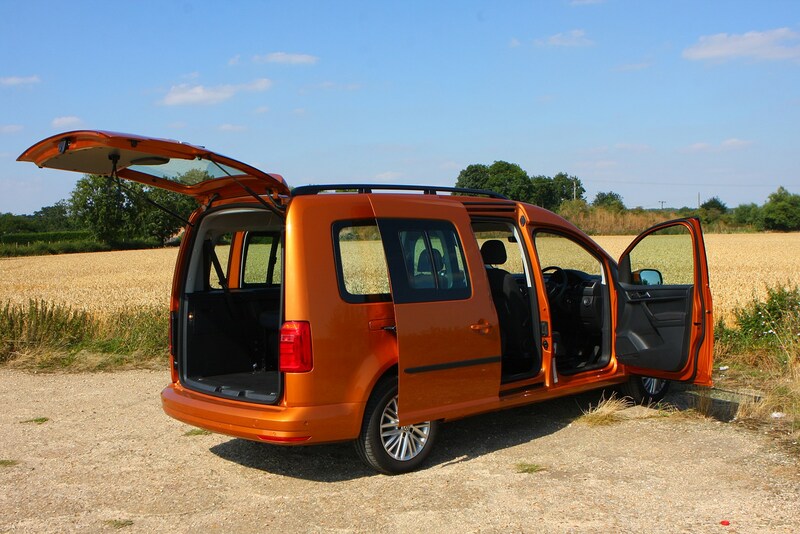 Let’s be plain about this – the VW Caddy Maxi Life is a seven-seater people carrier based on a van. 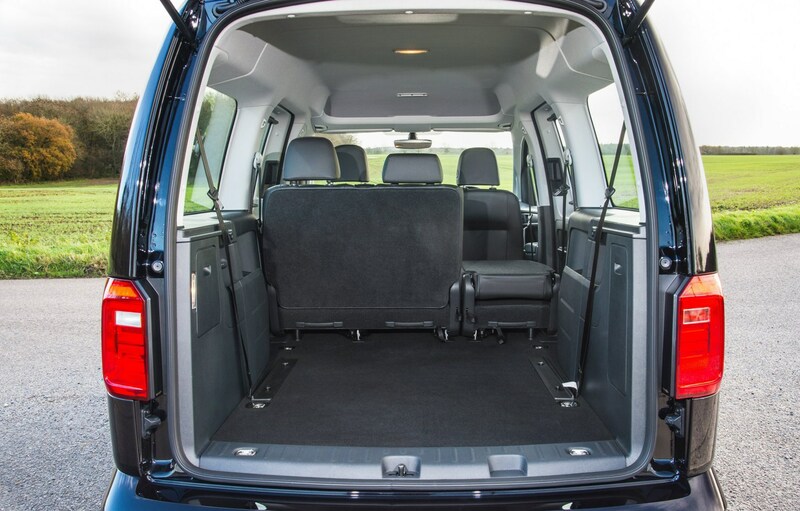 Of course, we’re talking about a Volkswagen van here, so this doesn’t mean you automatically get handed a hair shirt and/or a pasty upon acquisition of the keys. 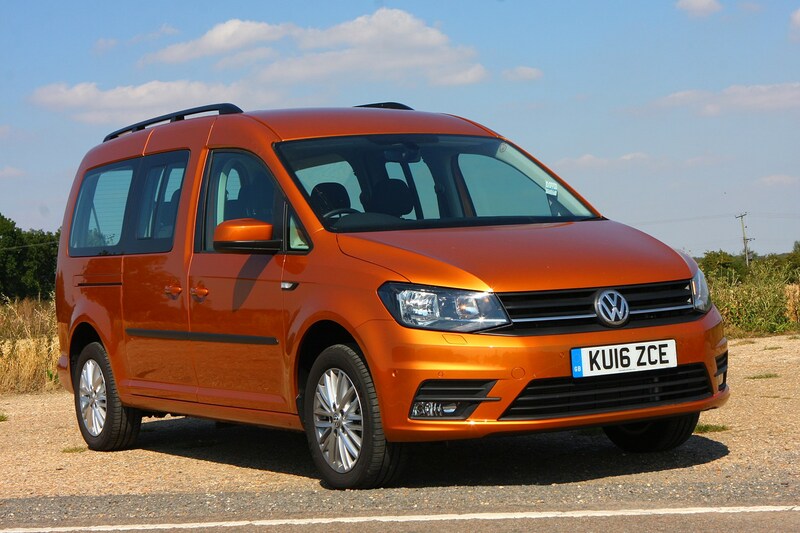 However, you shouldn’t be looking at one of these with the expectation of challenging the Ford Grand C-Max to a cross-country B-road duel or out-styling the likes of VW’s own car-based seven-seater, the Touran. 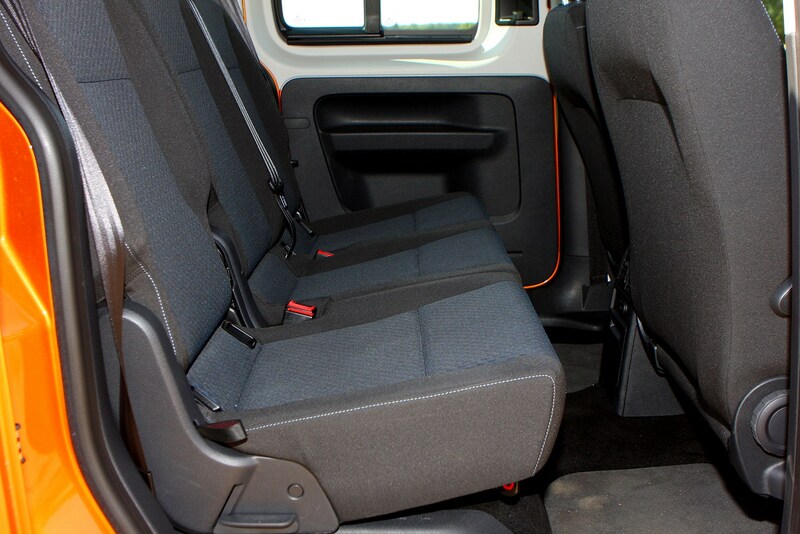 What you should expect is a considerable amount of passenger room that still leaves space for luggage, plus a surprisingly extensive roster of high-tech kit – particularly in the area of safety. 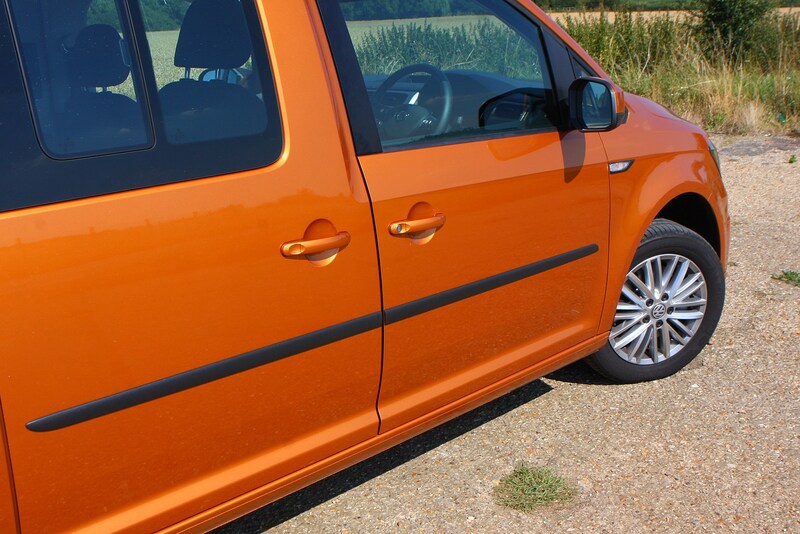 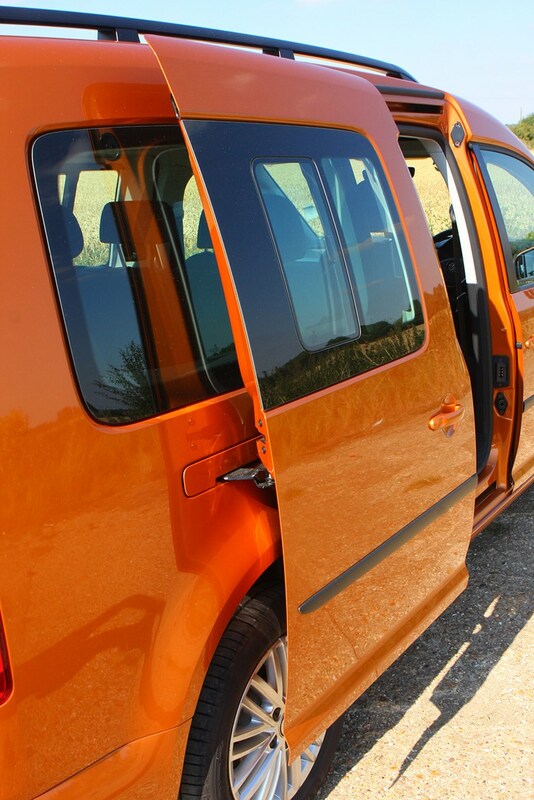 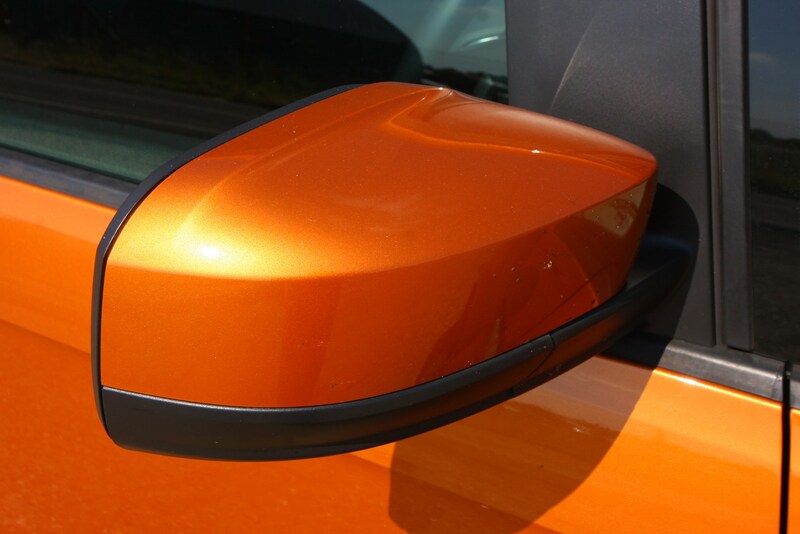 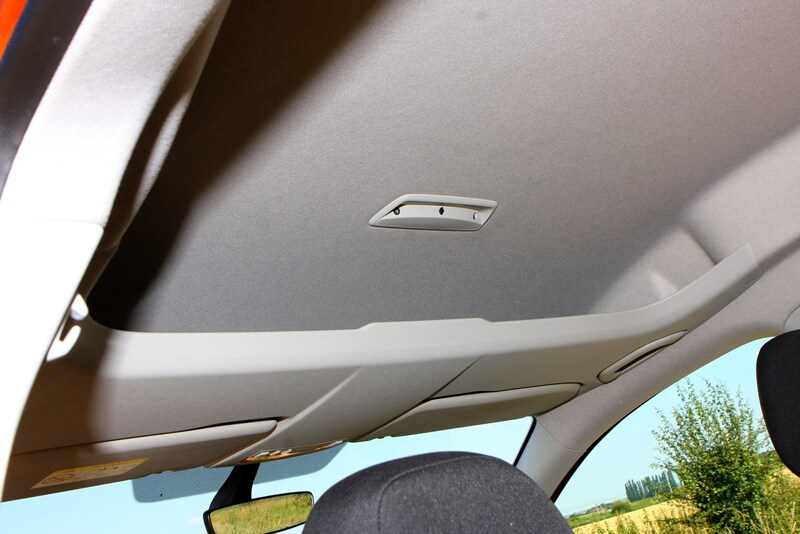 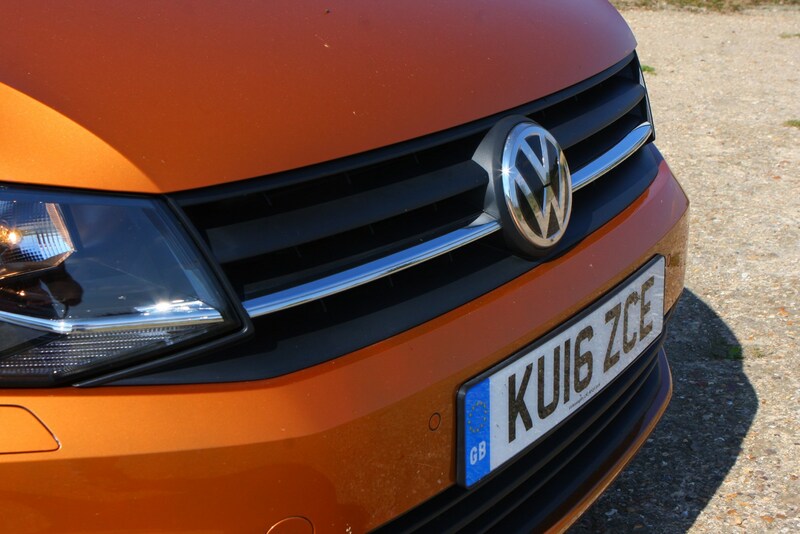 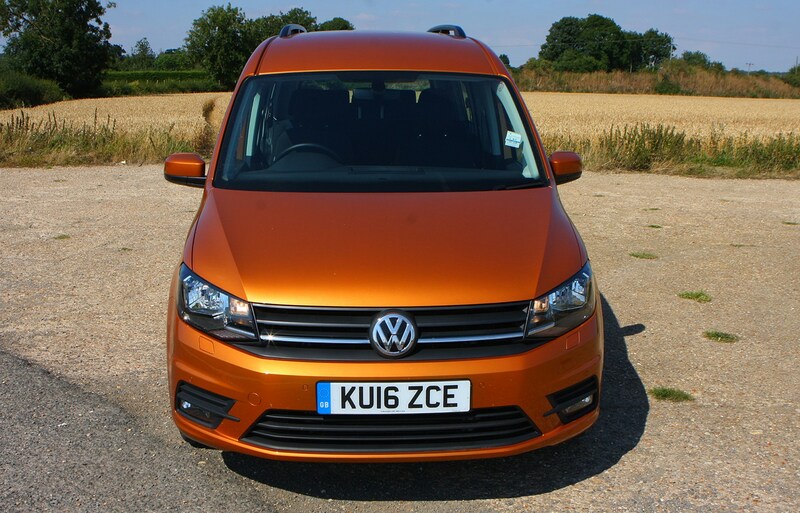 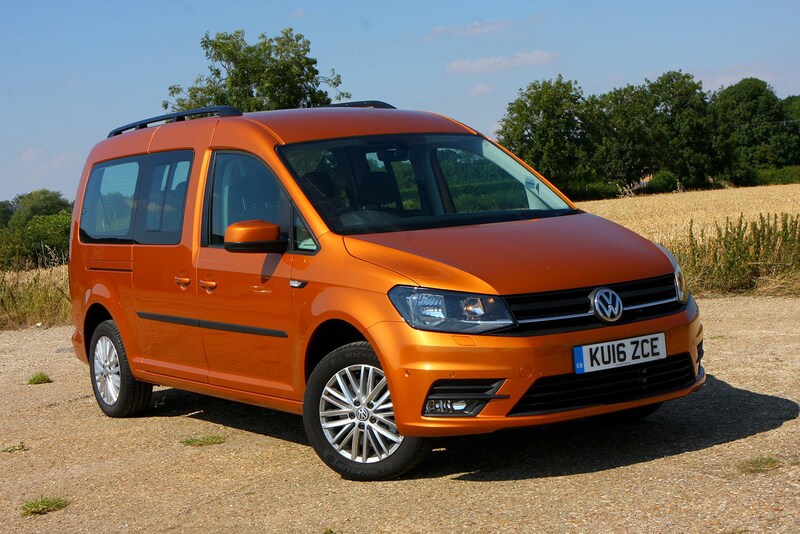 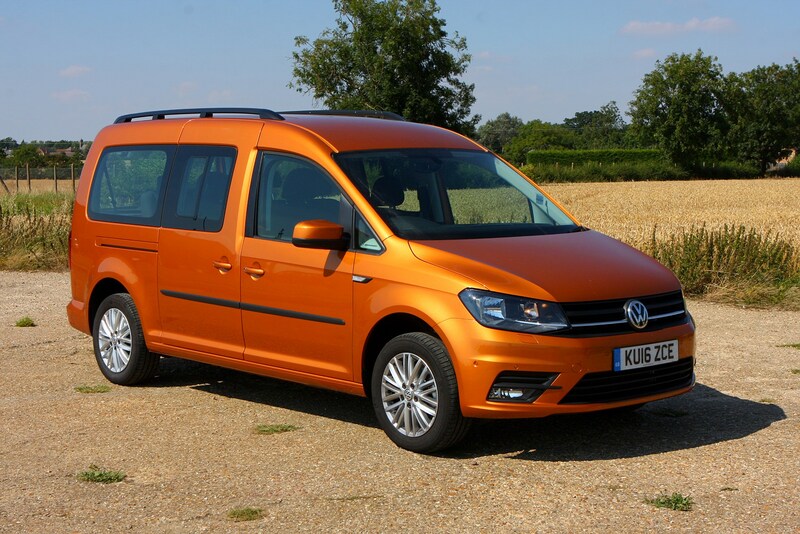 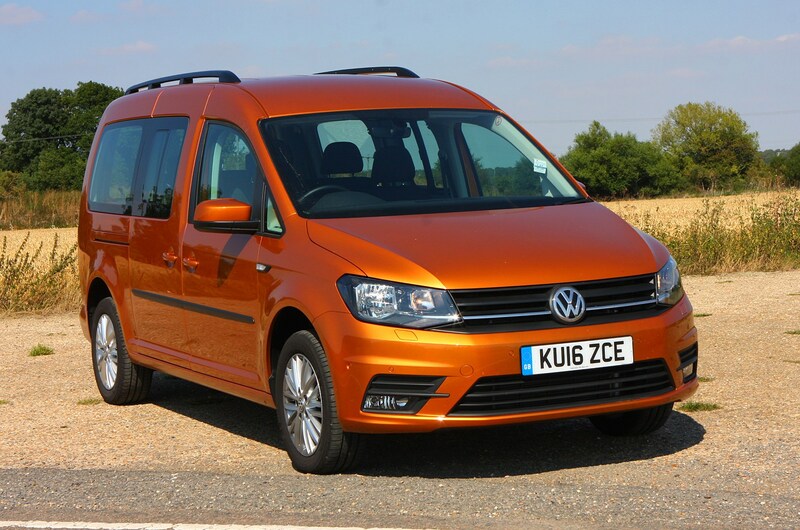 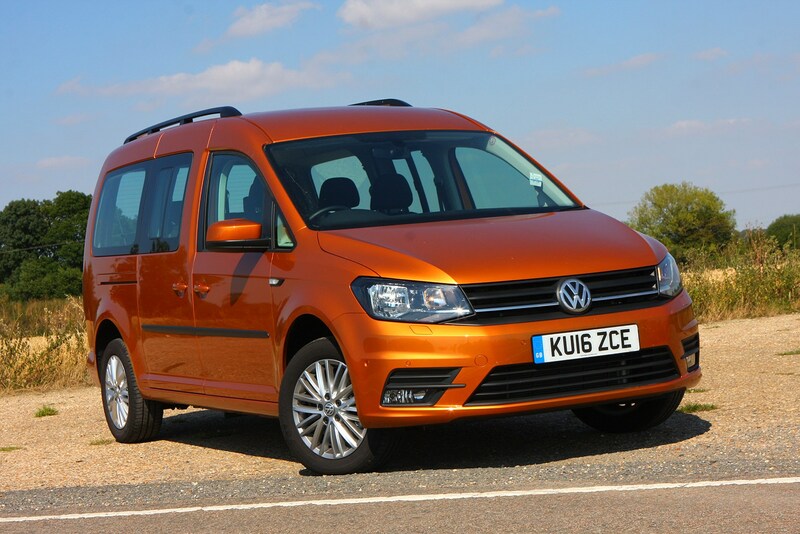 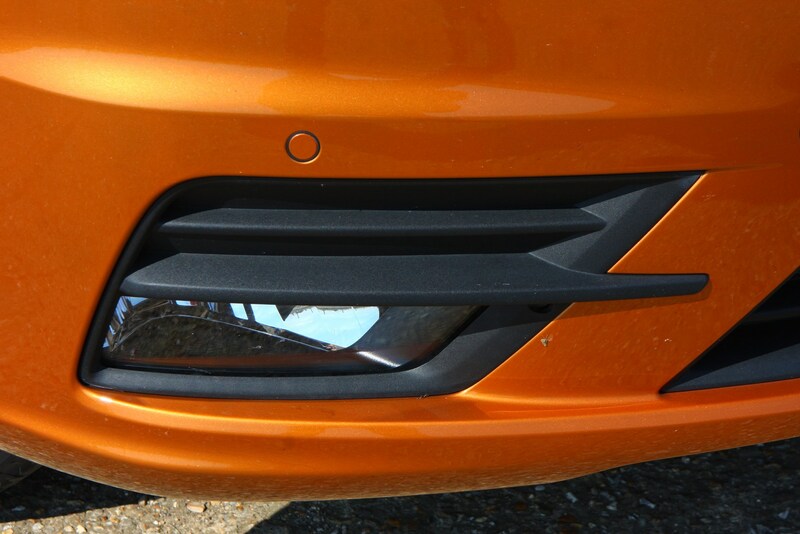 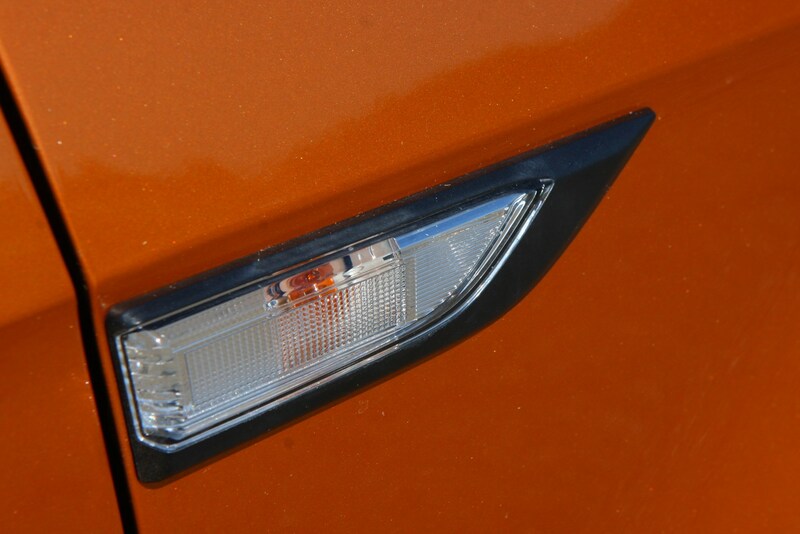 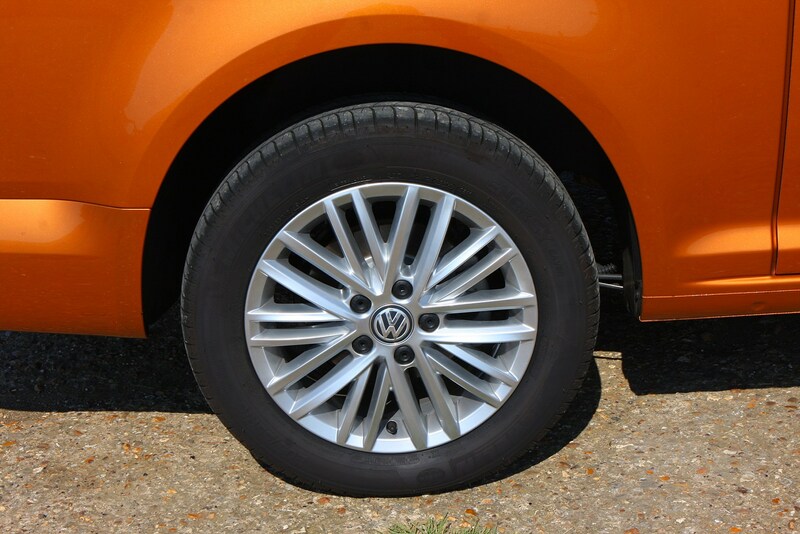 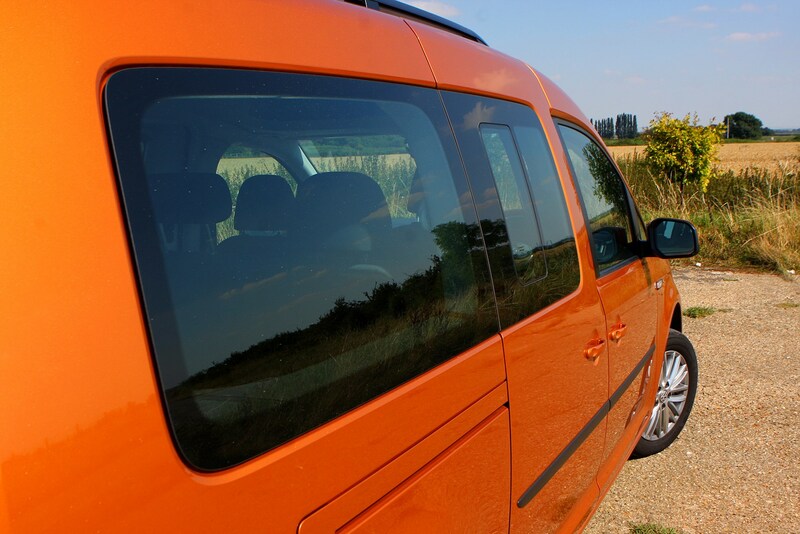 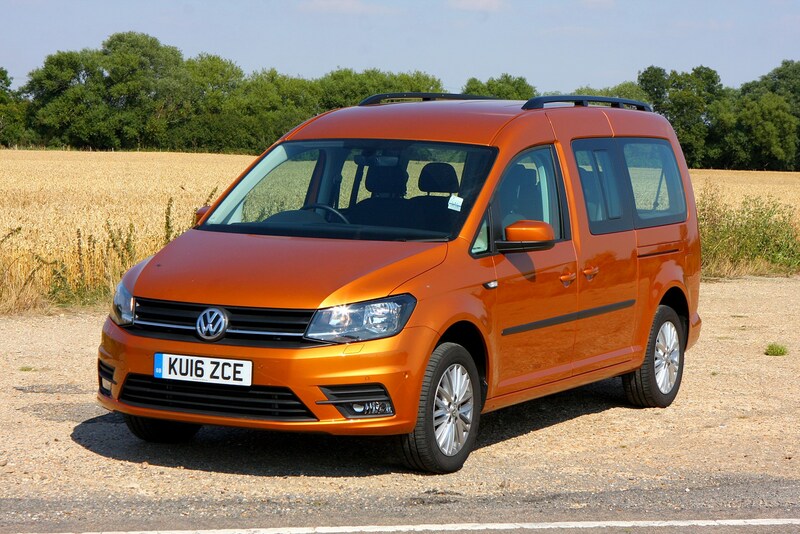 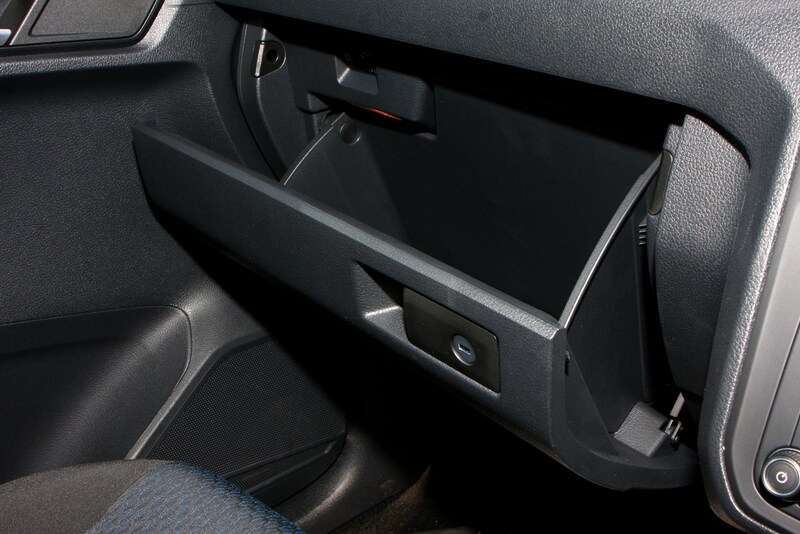 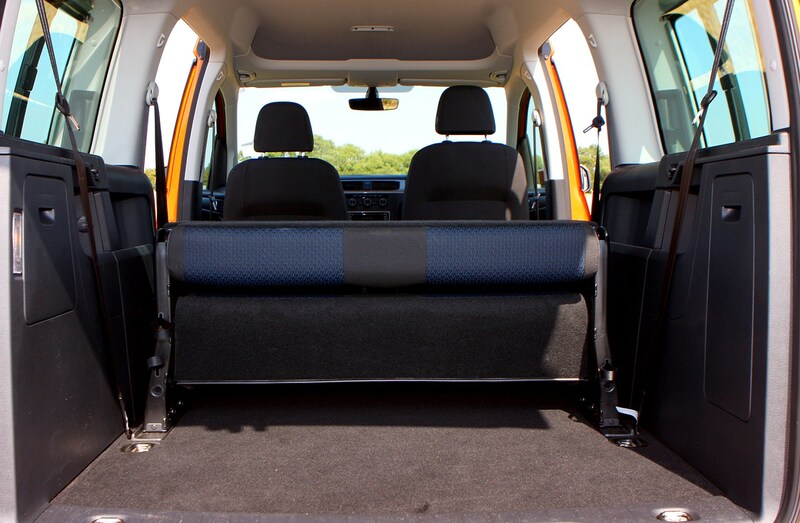 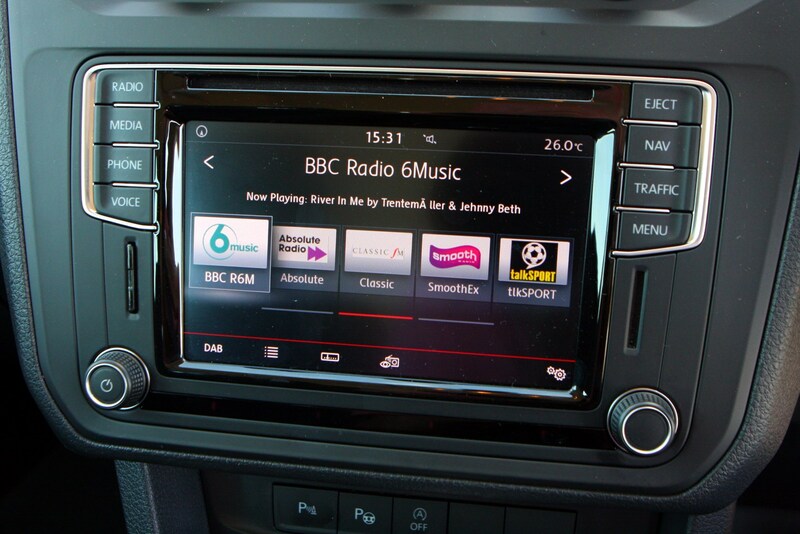 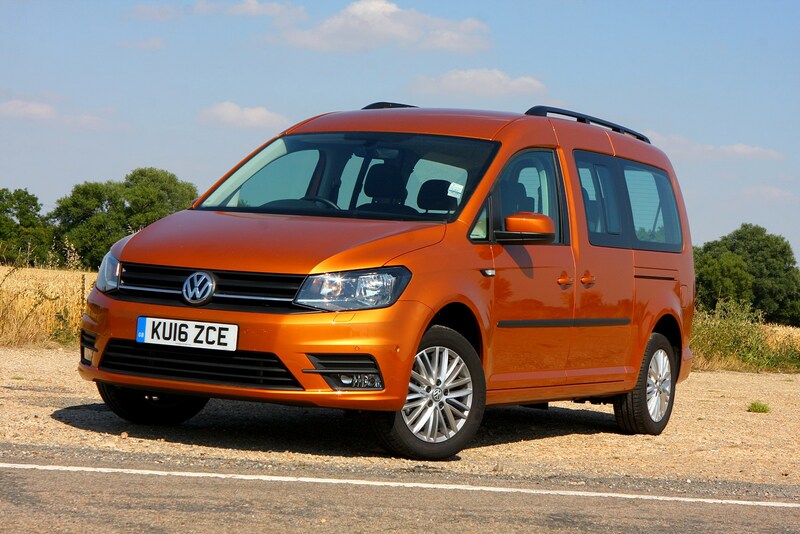 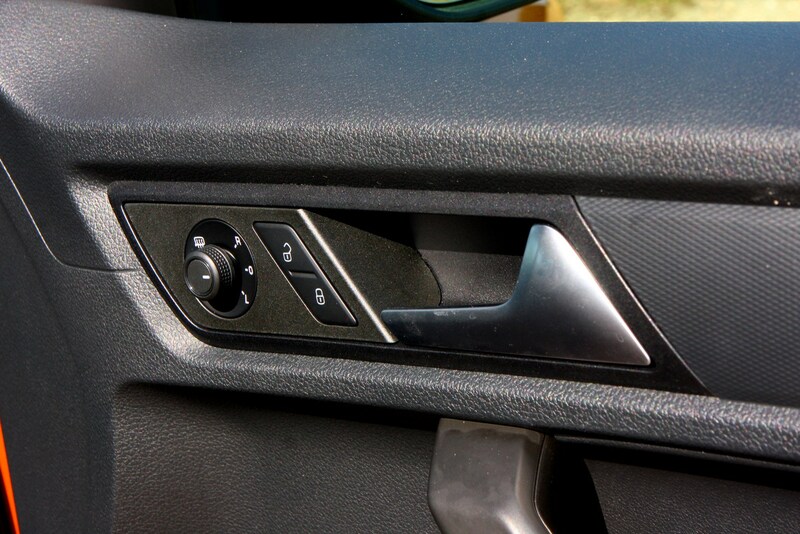 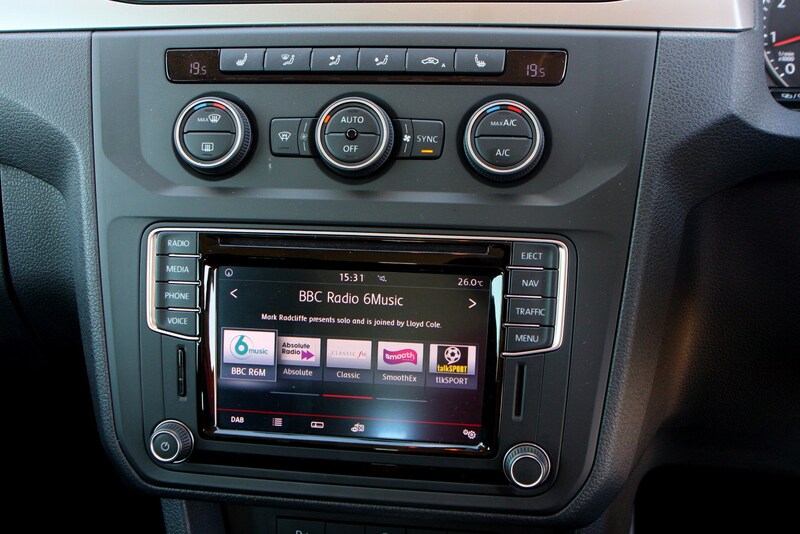 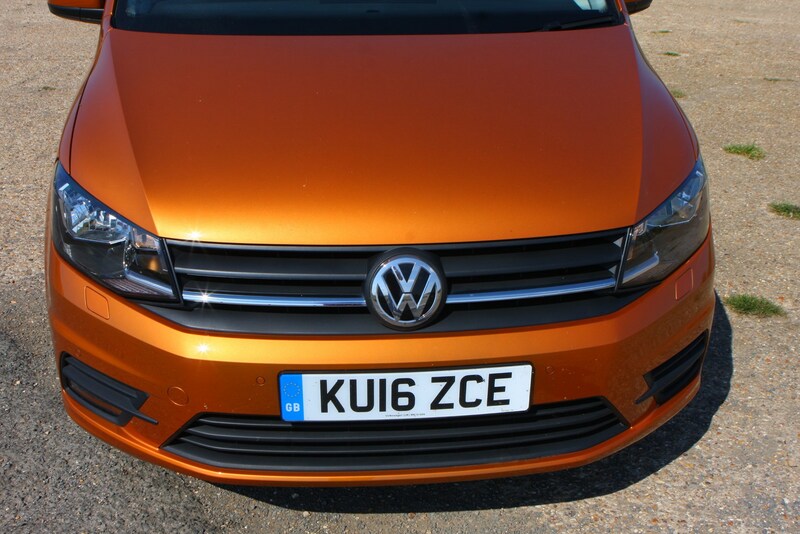 And because it’s a VW you can be assured the standard of fit and finish is noticeably beyond that offered by other van-based rivals such as the Ford Grand Tourneo Connect and the Peugeot Partner Tepee. 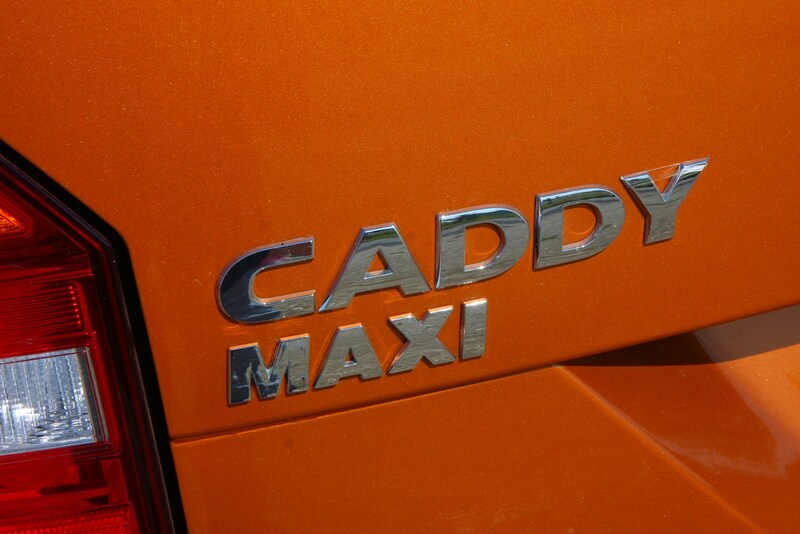 In other words, the Caddy Maxi Life is a class act. 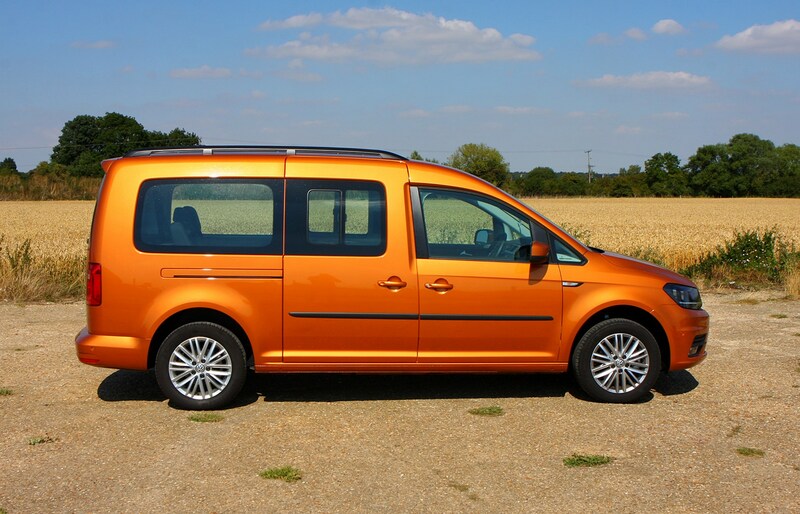 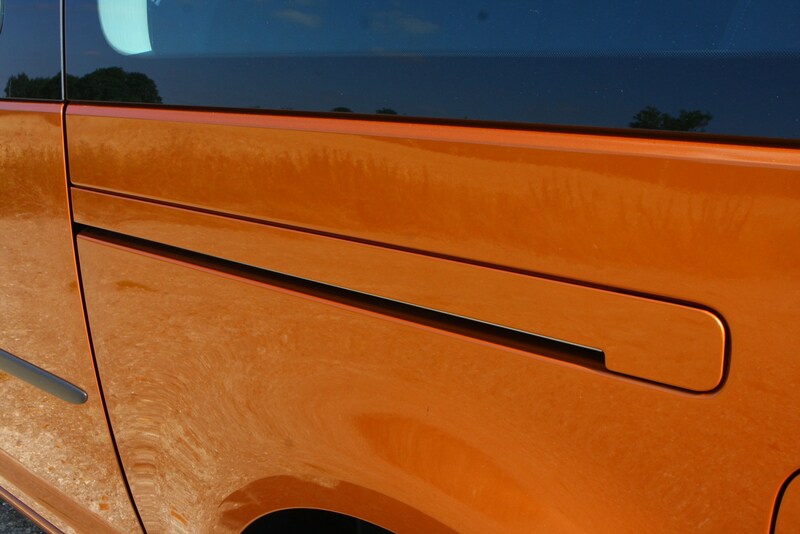 This is reflected in the list price; it may be a van, but that doesn’t make it cheap. 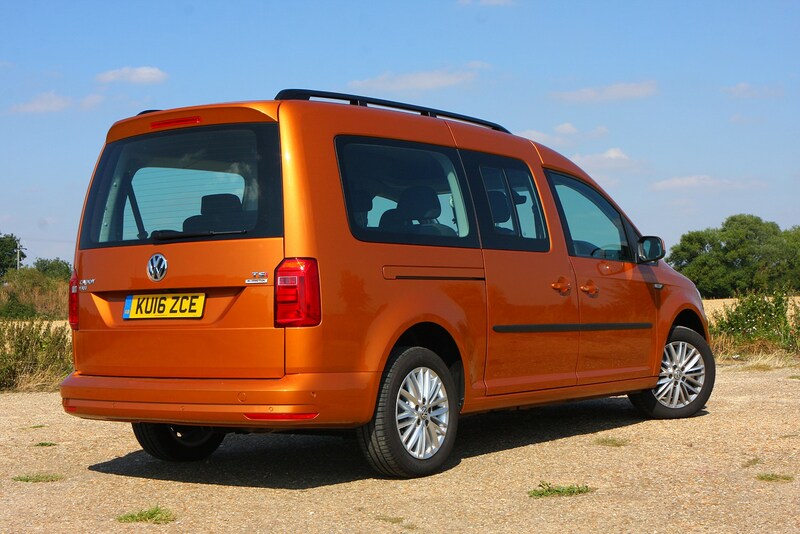 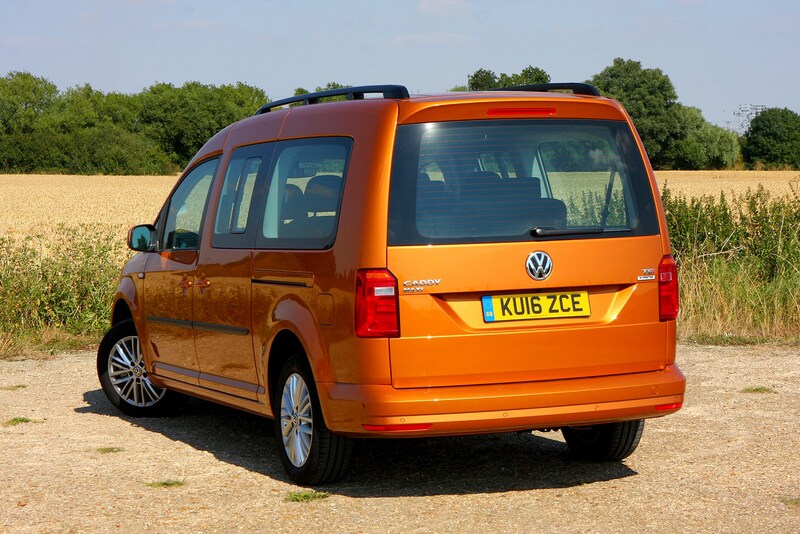 The Caddy part refers to the van in question, the Maxi means this is the long-wheelbase version, and the Life reveals that this is the “passenger carrier” variant, commercial vehicle-speak for MPV – although all those windows and seats will have probably already given this away. 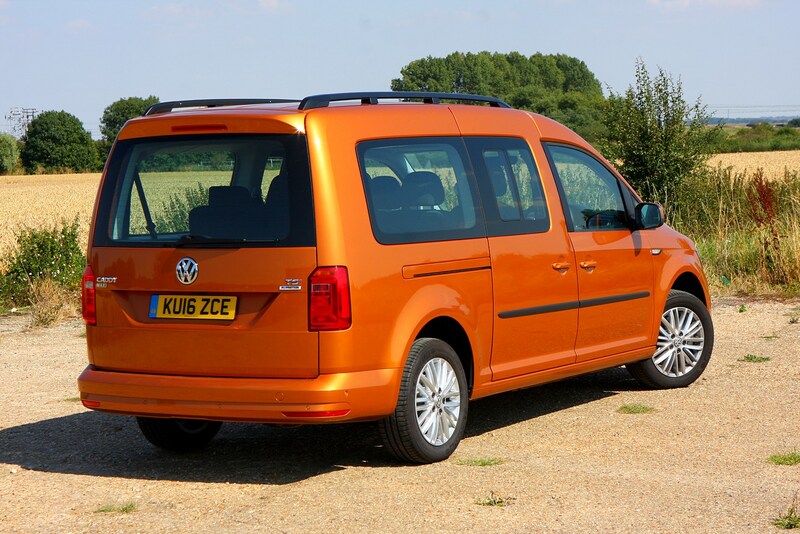 VW does also sell a regular Caddy Life, which is a five-seater version based on the standard Caddy wheelbase; we’ll deal with that in a separate review. 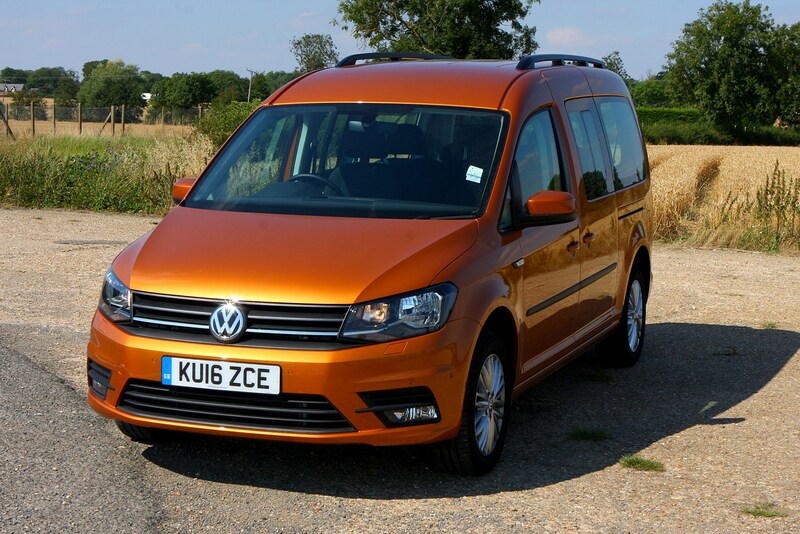 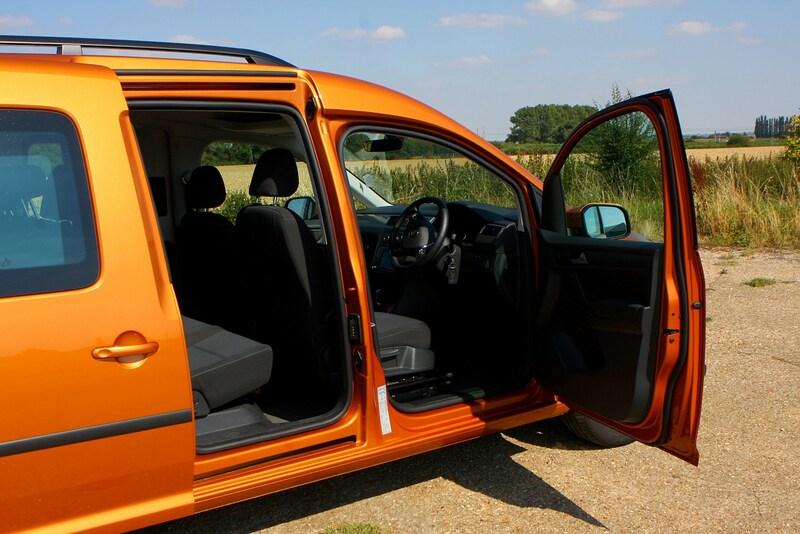 Why buy a van-based MPV? 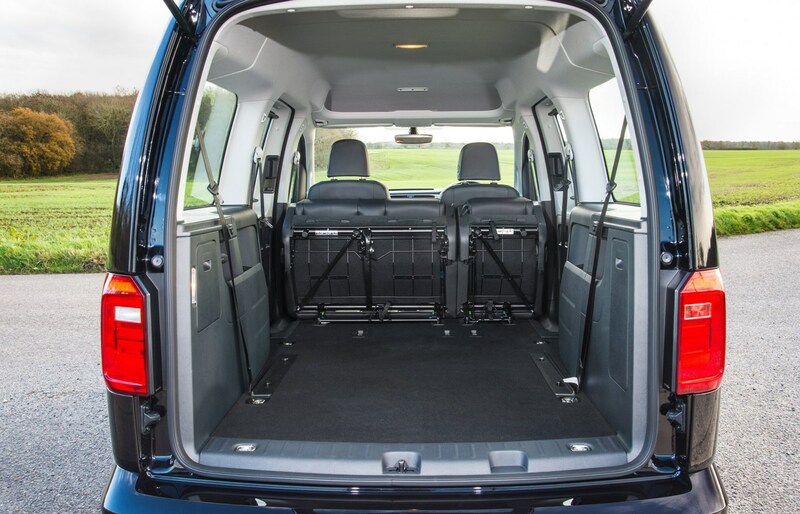 As well as offering buyers a vast and practical interior, the Caddy Maxi Life features twin sliding rear doors, which can make access in tight car park spaces much easier. 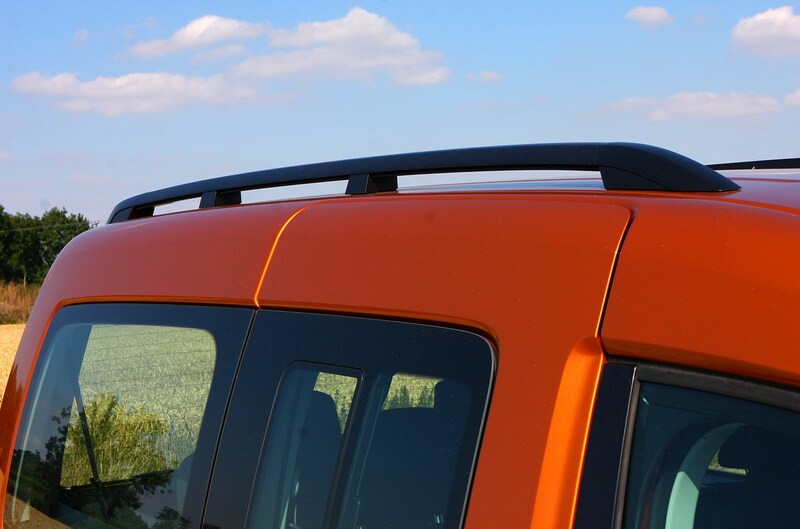 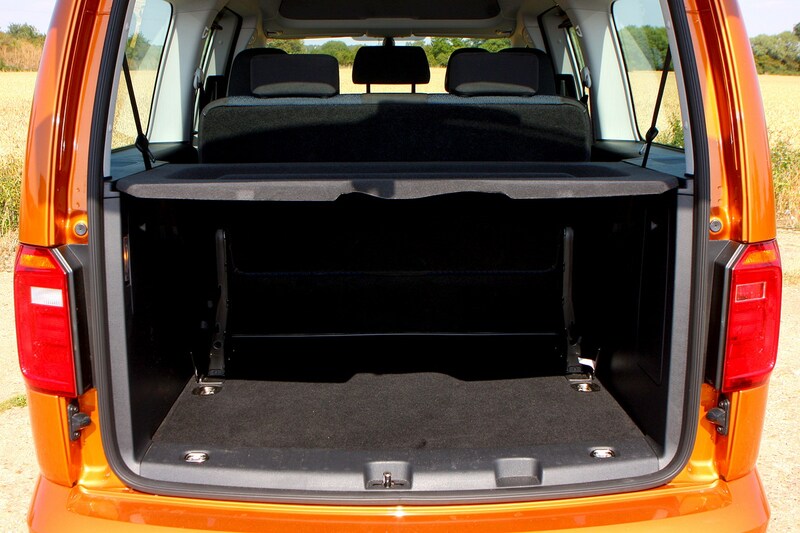 Counteracting this advantage is the enormous rear tailgate; hinged at the top like an ordinary hatchback but much, much longer, this can certainly shelter you from the rain when changing muddy boots but it won’t always be easy to open in a multi-storey. 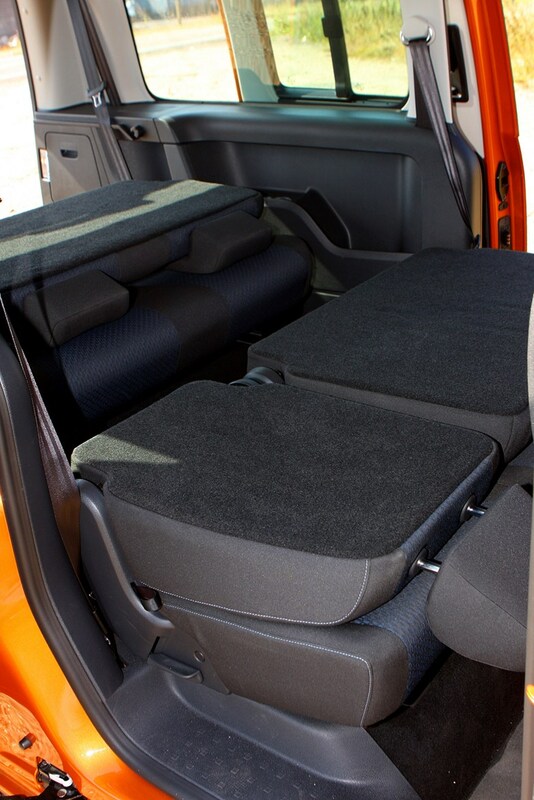 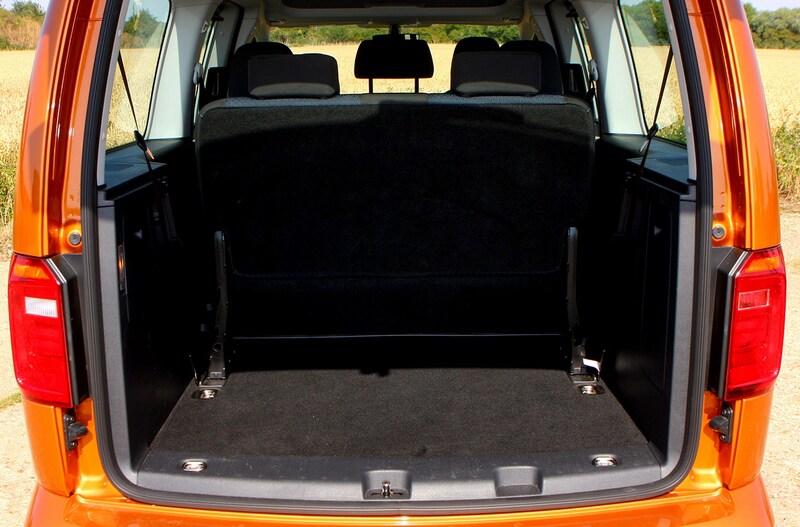 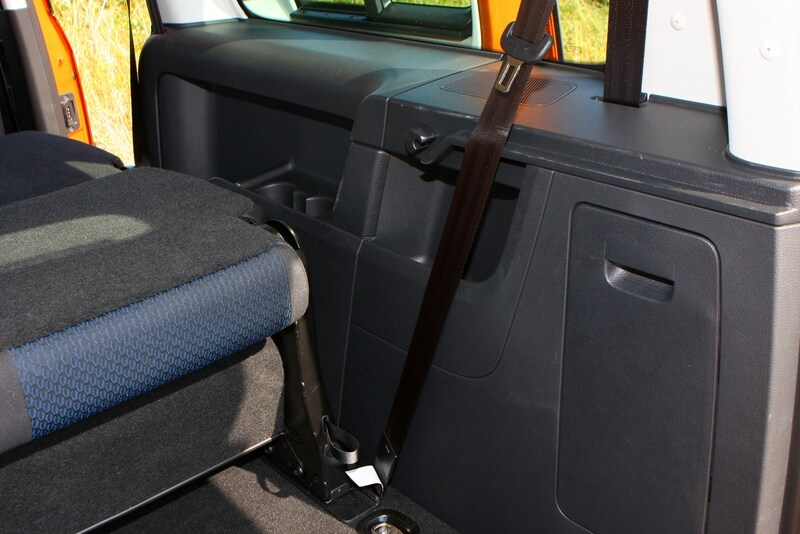 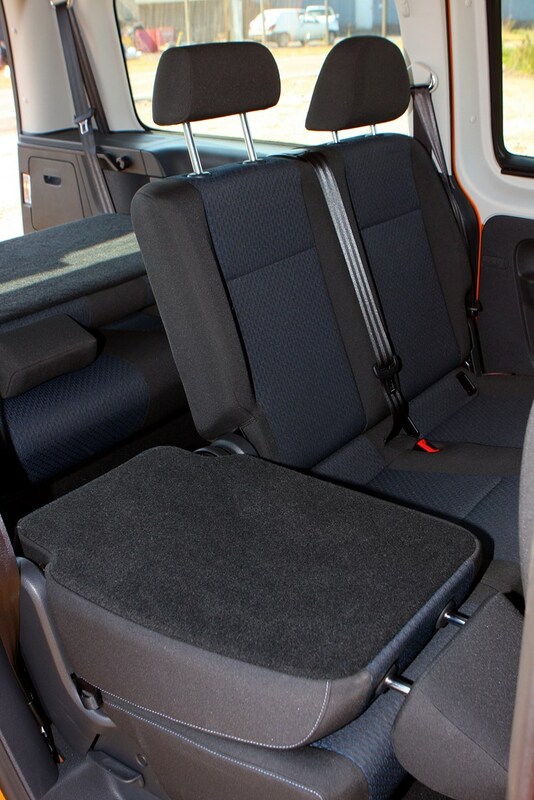 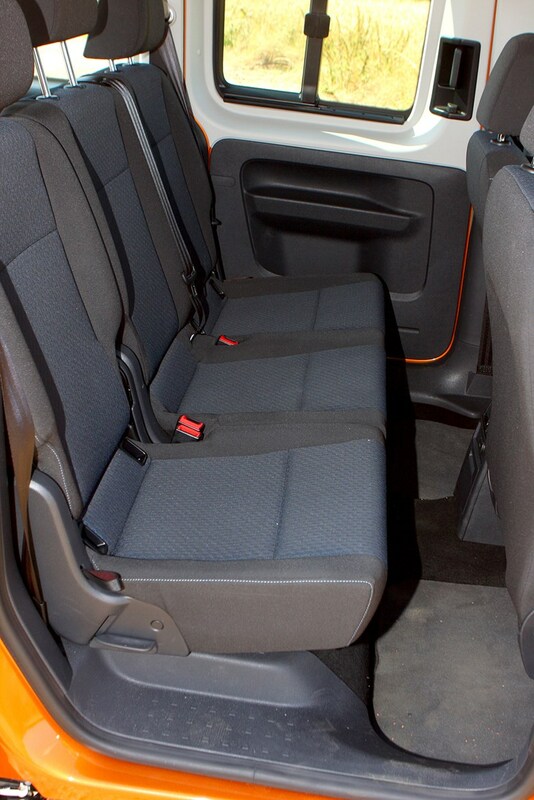 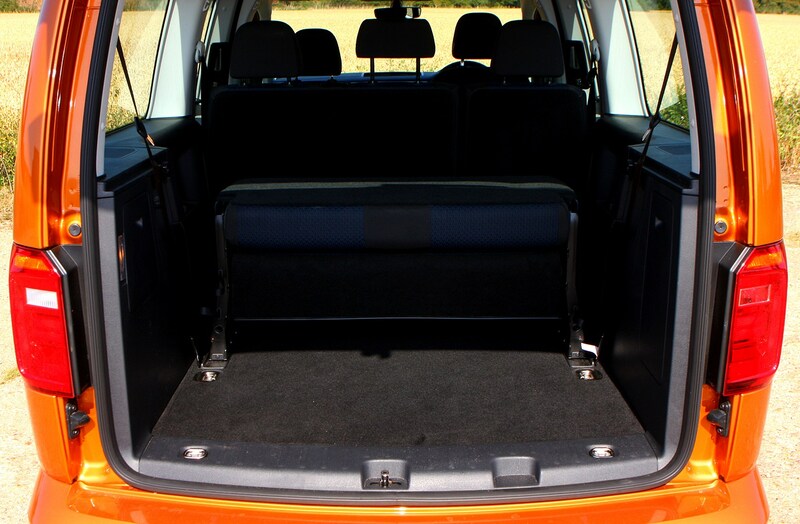 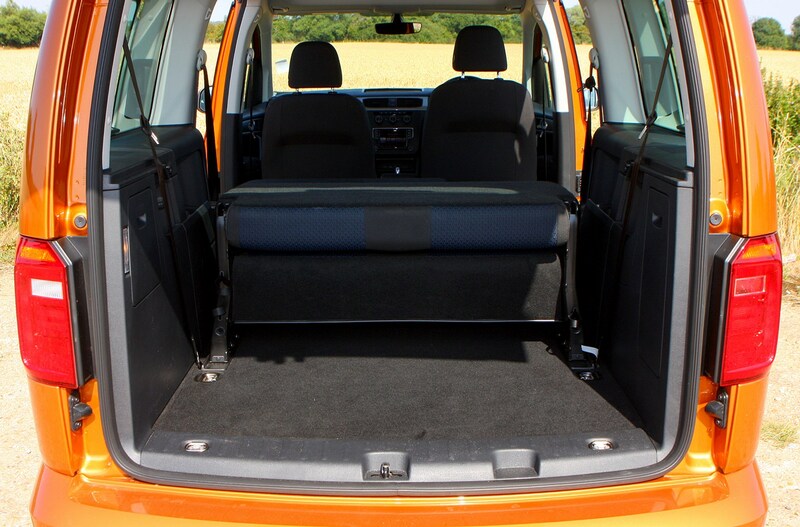 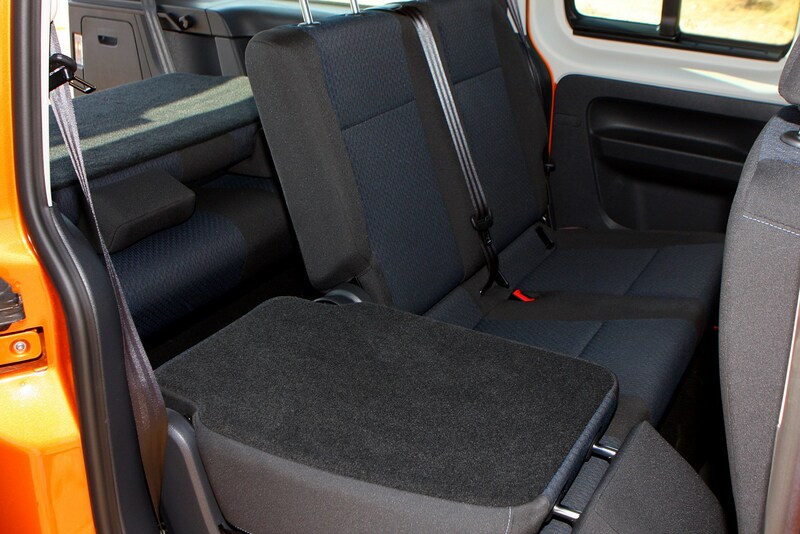 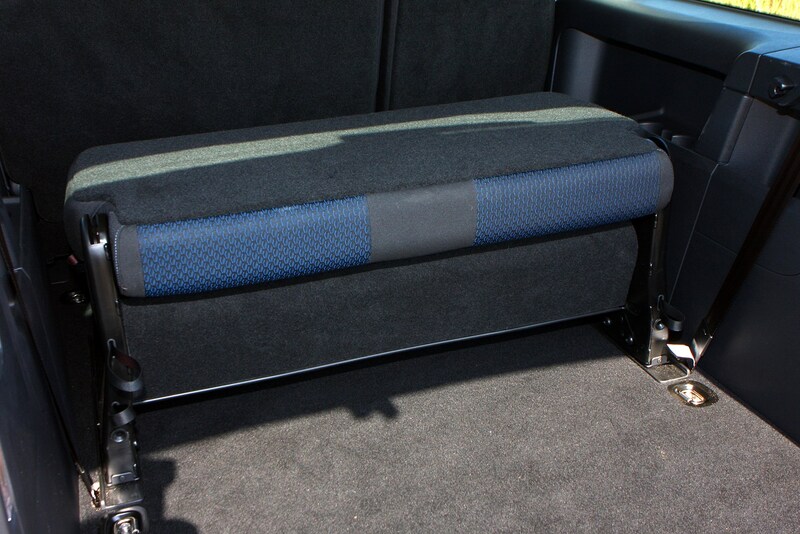 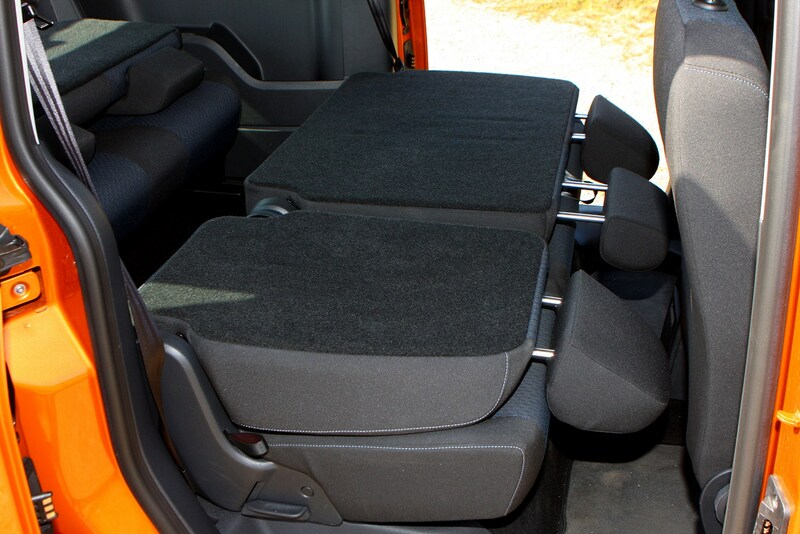 All of the rear seats can be removed from the Caddy Maxi Life, should you need to turn it back into a van for any reason. 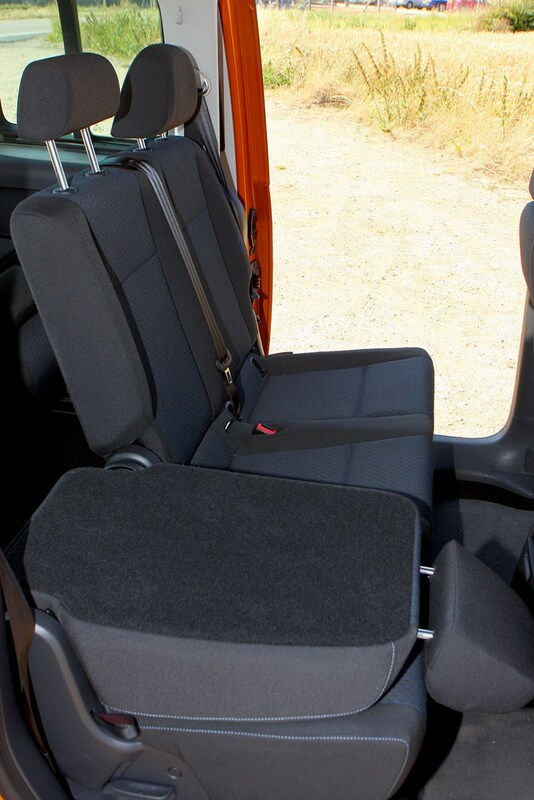 We strongly recommend recruiting several strapping assistants to affect this change, though, as the removable seats are awkward and heavy. 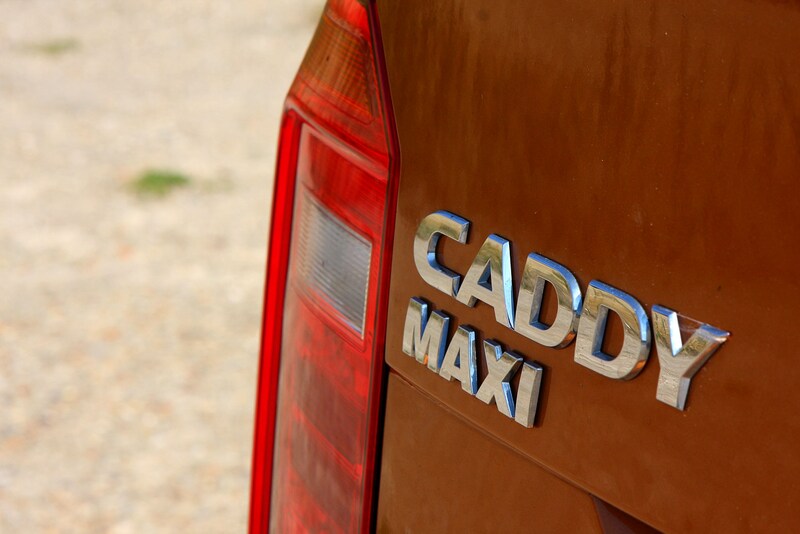 The Caddy Maxi Life is available in just a single trim level, and comes with a choice of 102hp and 150hp 2.0-litre turbodiesel engines badged TDI, or a 125hp 1.4-litre turbo petrol engine badged TSI. 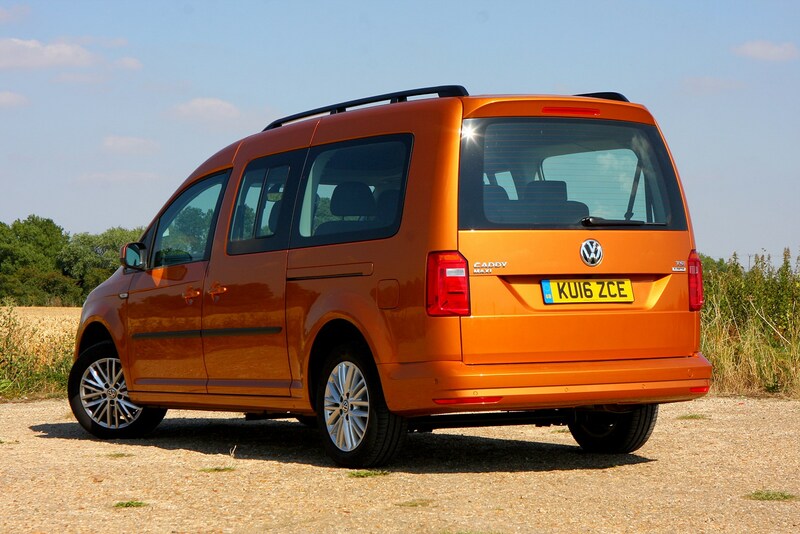 The diesels promise greater fuel economy, but the petrol is a refined choice that offers sprightly performance, even when fully loaded. 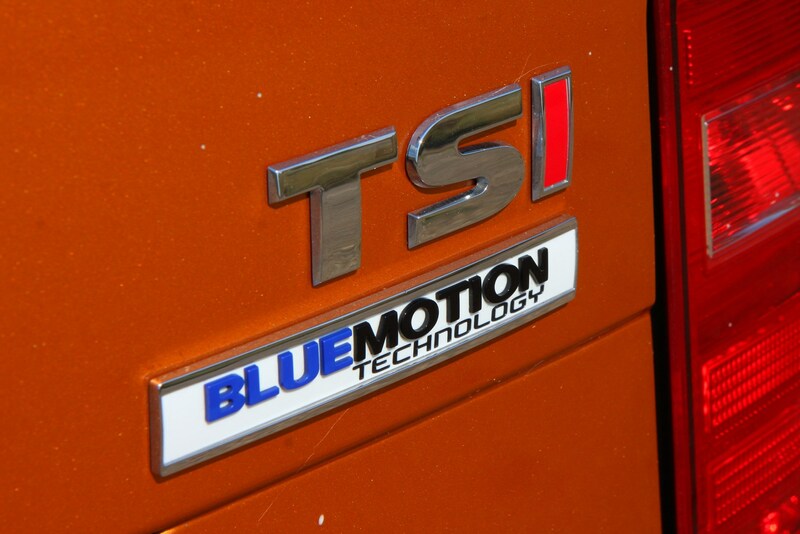 We have so far only driven the TSI. 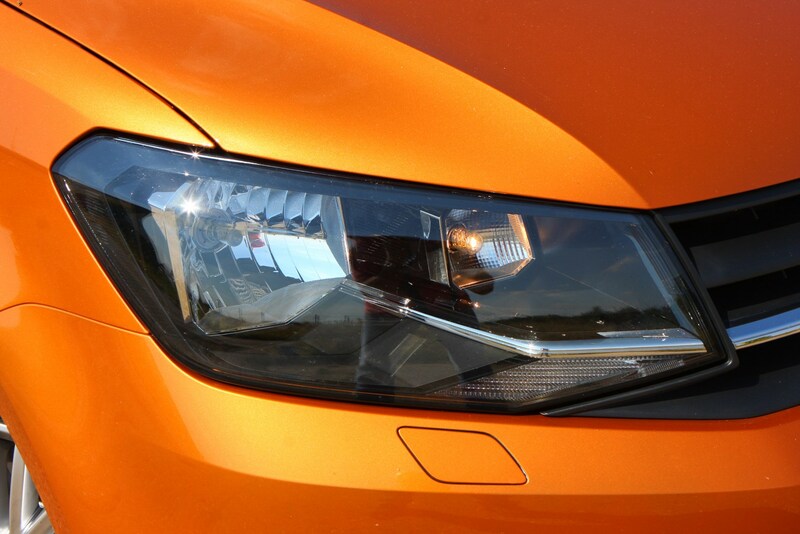 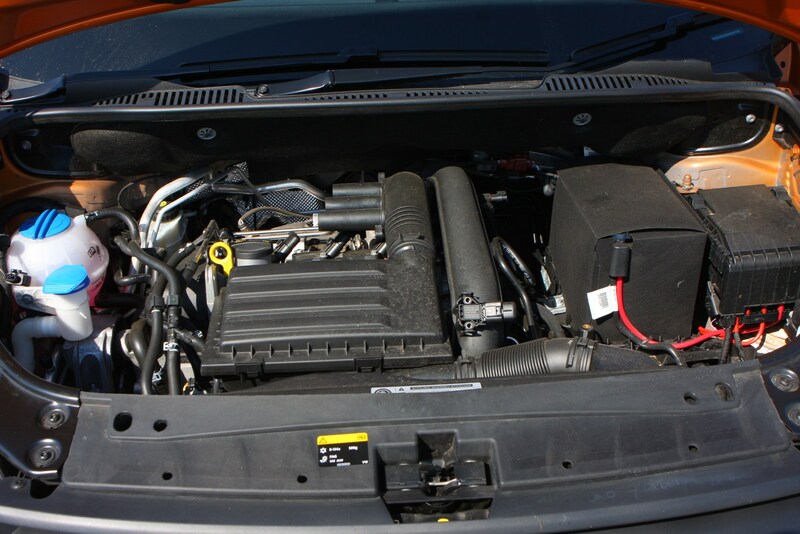 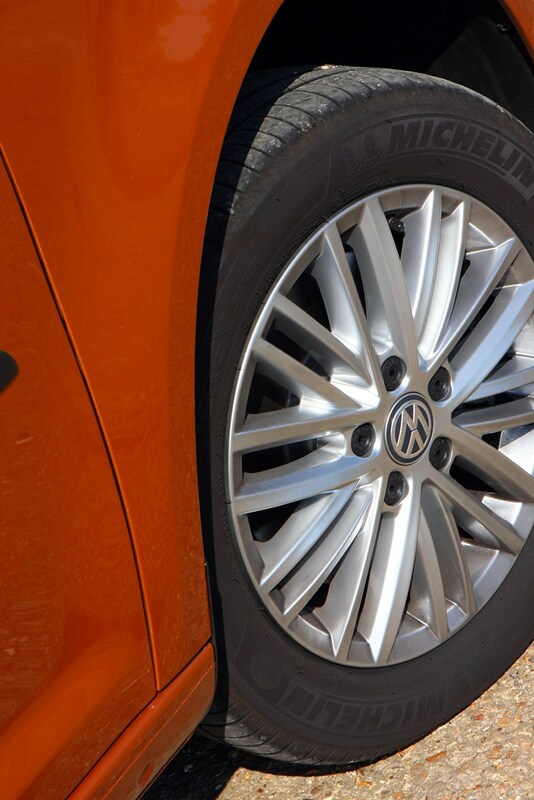 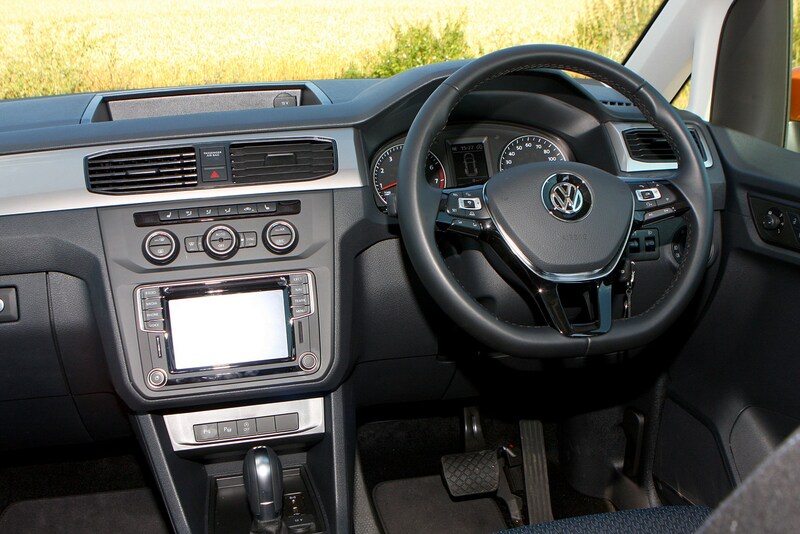 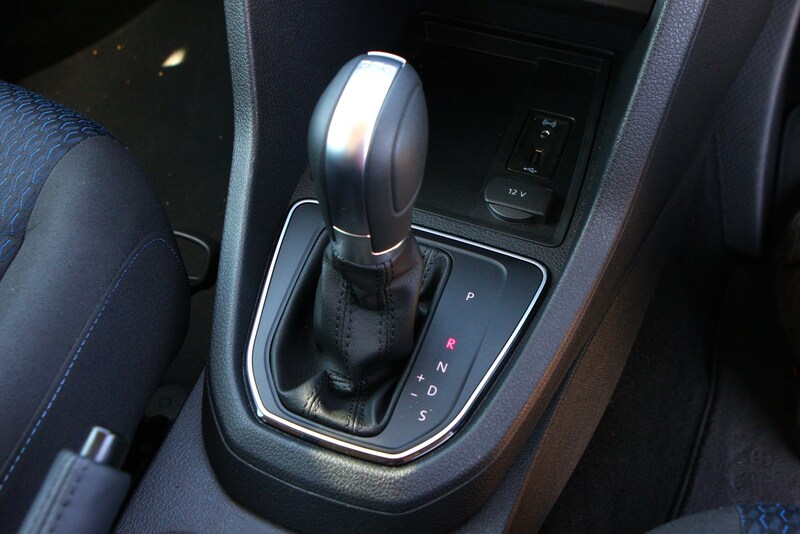 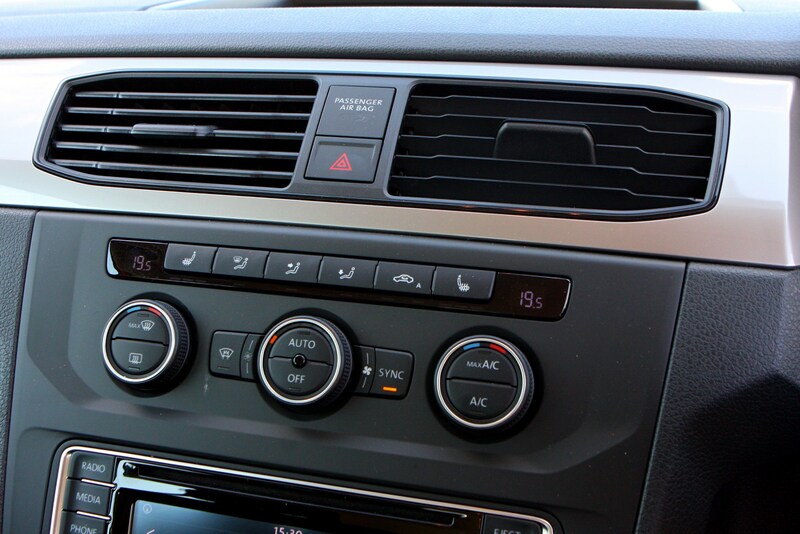 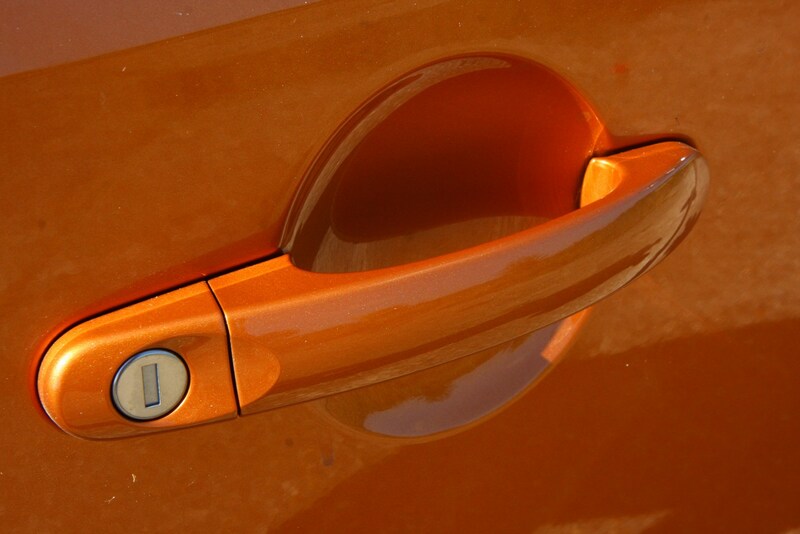 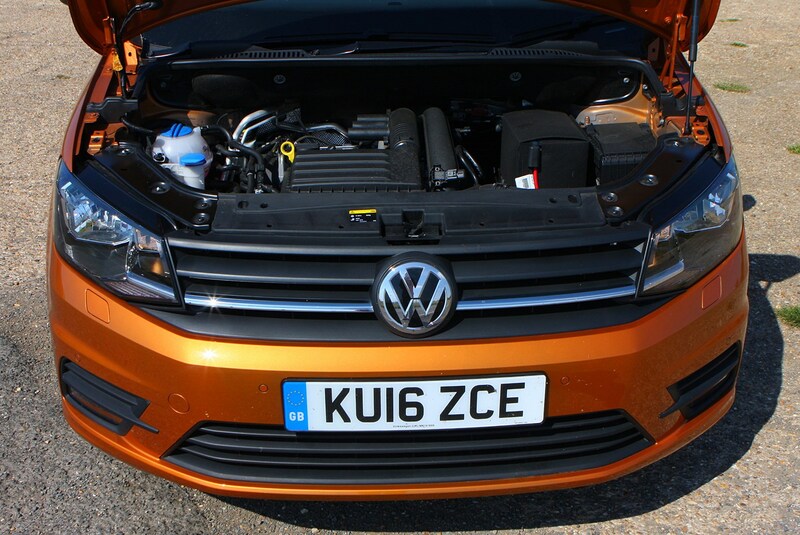 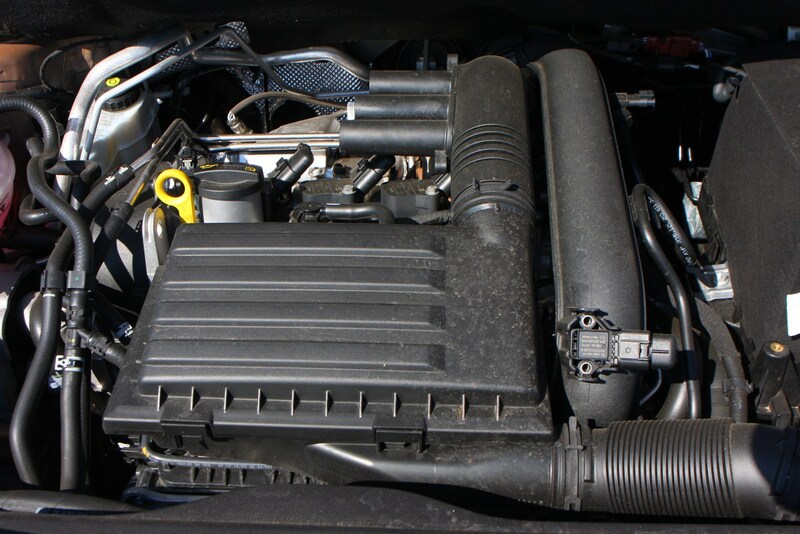 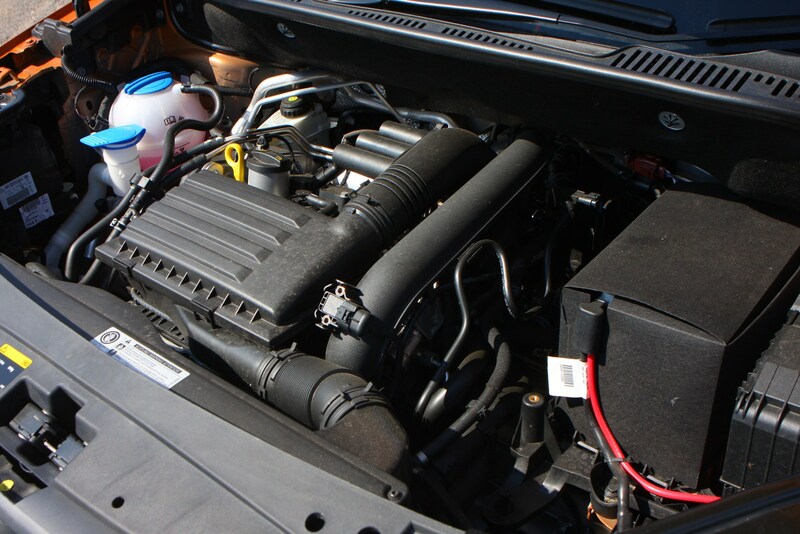 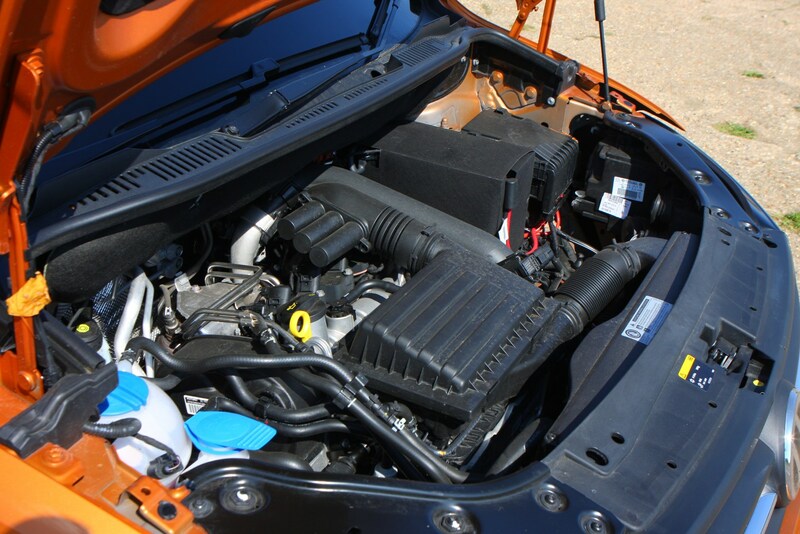 All engines are available with a standard manual gearbox or Volkswagen’s smooth DSG automatic. 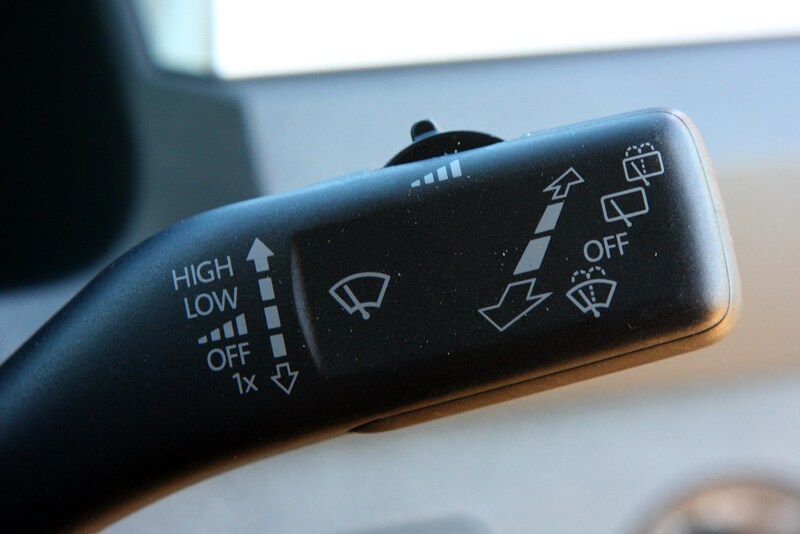 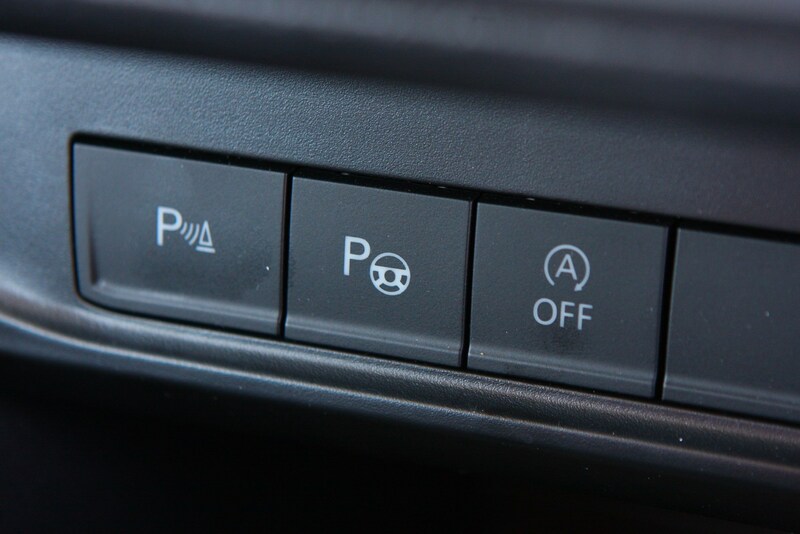 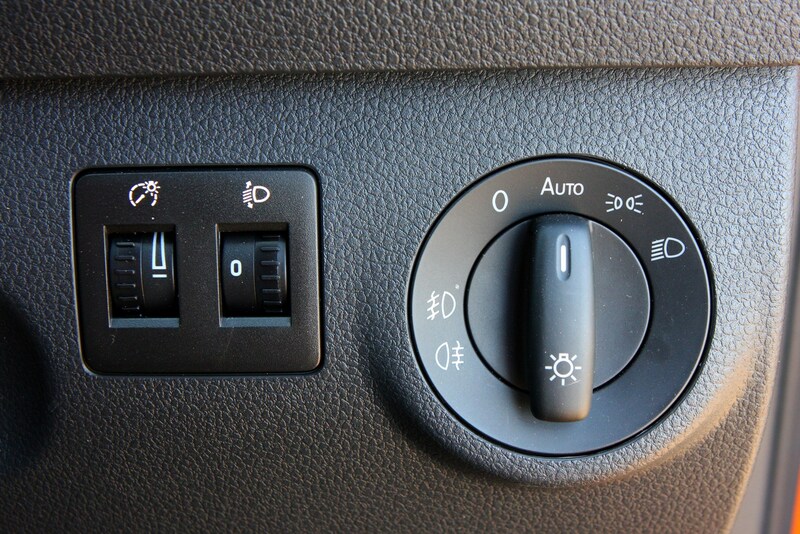 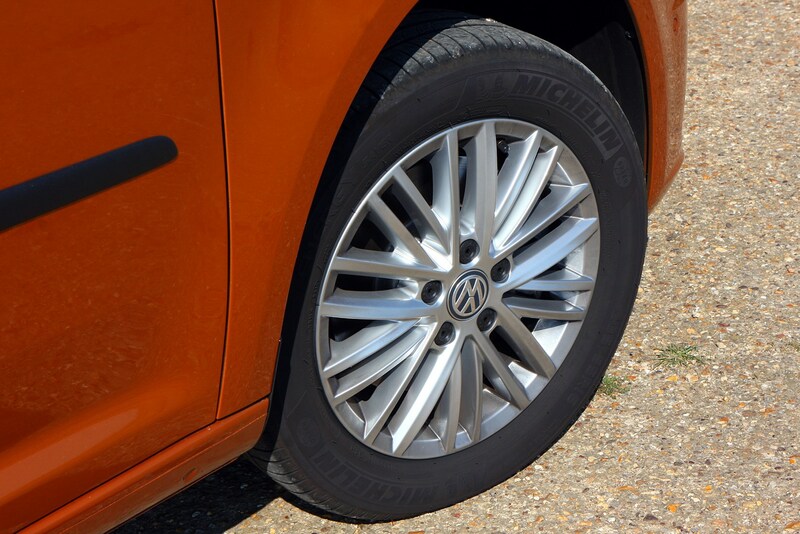 Electronic stability control and an electronic differential lock are fitted on every model – the latter is slightly unusual (though it’s fitted on a wide range of Volkswagen Group cars) and helps improve traction on slippery surfaces. 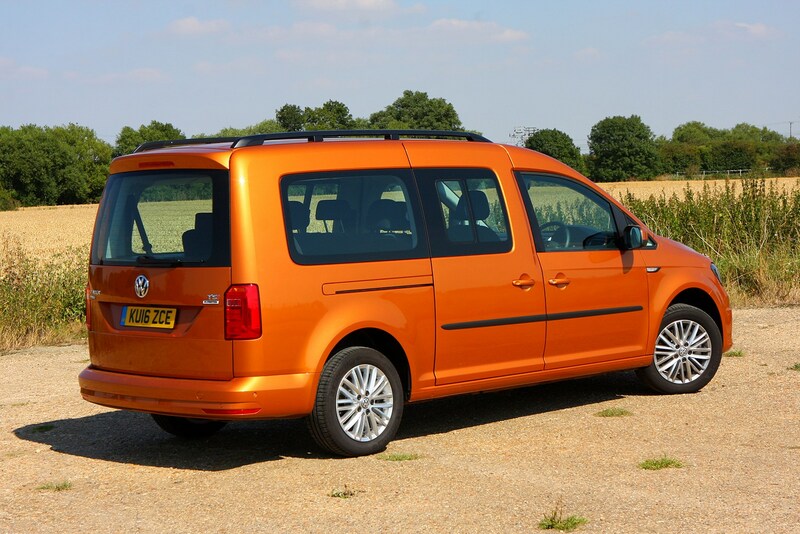 While you can’t choose between different equipment grades, the basic Caddy Maxi Life specification is fairly generous and includes modern necessities such as air-conditioning and DAB digital radio as standard, and there is also a comprehensive optional extras list – including a selection of bright exterior colours. 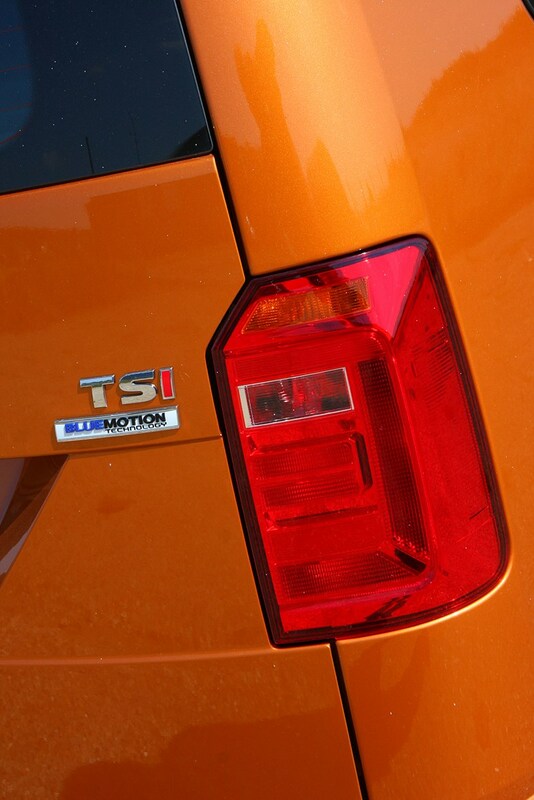 Prepare your wallet for the inevitable damage.